SnapSports teams up with NBA Centre Court, The NBA’s premier fan interaction event, for the 3rd year during the 2016 NBA All-Star weekend. The NBA Centre Court will be held at the Enercare Centre at Exposition Place in Toronto, Canada, February 12 – 14, 2016. Utah based SnapSports, the leading manufacturer and supplier of modular sports flooring, has teamed up with NBA Centre Court, The NBA’s premier fan event, for the 3rd year during the 2016 NBA All-Star weekend. 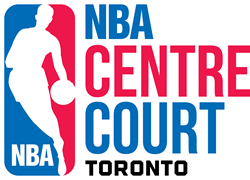 The NBA Centre Court will be held at the Enercare Centre at Exposition Place in Toronto, Canada, February 12 – 14, 2016. The 2016 NBA All-Star Weekend will be making history as they head to Toronto, Canada for the NBA All-Star game and fan events. This is the first year in NBA All-Star history to hold the game outside the United States. The most talented players in the league’s history will come together in global celebration of the games legacy with the 65th NBA All-Star game, held at the Air Canada Center, Sunday, February 4, 2016. The NBA Centre Court will feature nearly 100,000sqft of SnapSports industry leading TuffShield® Maple ®basketball surfacing, making up over 40 basketball courts for the many NBA Centre Court activities for star players and fans alike. With over 25 patents and three generations of continuous innovation at SnapSports, they are recognized as the world’s leading manufacturer and supplier of indoor and outdoor courts for both commercial and residential markets. The team at SnapSports® have been engineering, manufacturing, and providing the world's leading indoor and outdoor multi-courts, basketball courts and indoor sport surfaces for nearly four decades! As the pioneers of the modular sports surfacing industry you play on today, the SnapSports team continues to develop the most advanced, multi-patented, modular sport surfacing and outdoor game courts for top athletes and families all over the world. With unparalleled experience and a high performance product line, SnapSports is the industry’s undisputed champion. The multi-patented SnapSports Maple TuffShield® is the sport flooring of choice for the NBA due to the real wood look, top level performance, durability, and superior safe play rating guaranteeing safety for athletes and fans of all ages and skill levels. Fans attending the 2016 NBA All-Star Weekend will enjoy the various events found at the NBA Centre Court including activities and skills competitions and hands-on instructional clinics conducted by current and former NBA players. Dunk squads and dance groups will entertain fans and visitors can see if they have what it takes to play in the NBA by putting their speed and skills to the test at the NBA Fan Combine. SnapSports is proud to be a part of the largest and most comprehensive NBA fan experience in the world. SnapSports manufacturers 24/7 in their 150,000 square foot ISO 9001:2008 Quality certified facility in Salt Lake City, Utah. SnapSports is the Official Court of The 2016 NBA Centre Court, NBA Nation, 2015 NBA 3X, NBA House, The United States Futsal Federation, AAU Jam On it, AAU All Under one Roof, The Big South Volleyball Tournament and USA Team Handball. SnapSports is an official FIBA Technical Partner and has been a proud past partner of The Special Olympics, The National Veterans Wheelchair Games, The Volleyball Festival, Gus Macker 3X3, The Vanilla Ice Project, World Police & Fire Games and The National Collegiate Roller Hockey Championship to name a few. SnapSports surfaces are made in the USA and played on around the world.